Not to be outdone, Houston Rockets' James Harden and Adidas unveiled the official logo for his signature shoe, which is set to debut later this year. The logo seems to pay homage to Harden's beard and the city of Houston with a prominent "H" in the center. In a release, Adidas says more information on the project is expected through the summer. 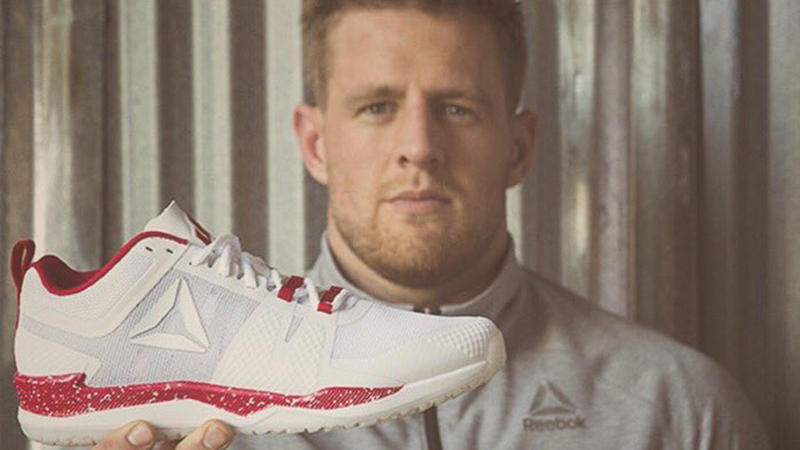 In May, Texans' J.J. Watt unveiled his own personal Reebok logo. The training shoe hit retail stores last month for $99. Reebok and Houston Texans defensive end, J.J. Watt, have officially launched their new shoe line.